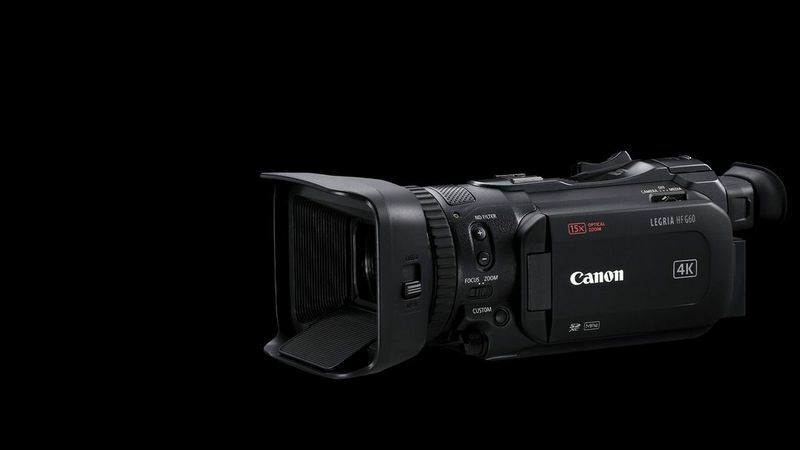 Next level filmmaking from a 4K camcorder that brings out the best in your world. A large 1.0-type 4K Canon sensor captures incredible levels of detail, full of colour and clarity, while a 9-blade aperture achieves cinema-style highlights. 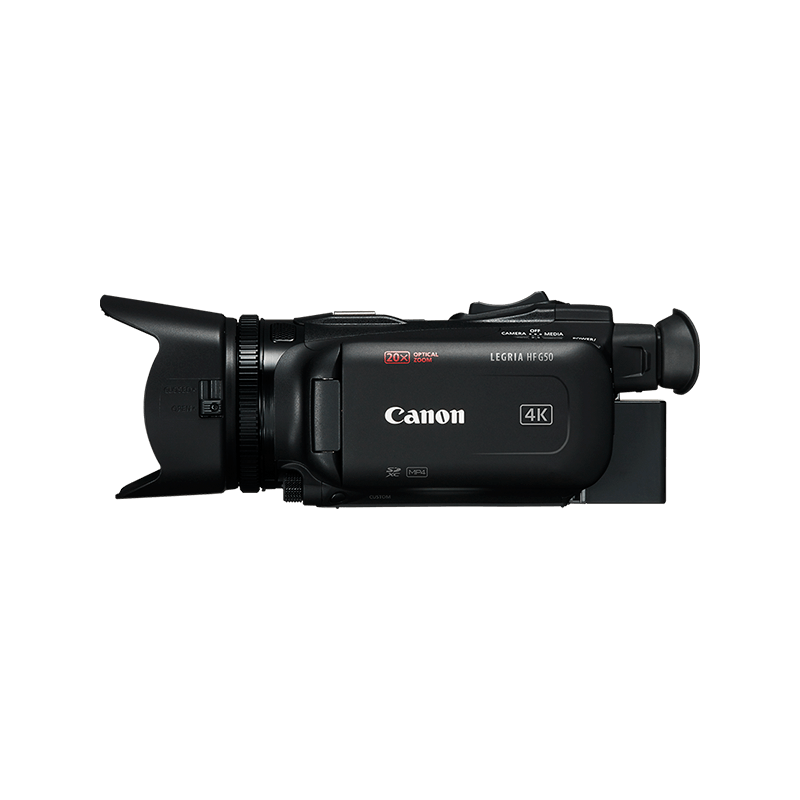 Enjoy vibrant and shake-free footage from a powerful 15x optical zoom thanks to a wide f/2.8-4.5 aperture with advanced image stabilisation and Dual Pixel CMOS AF. 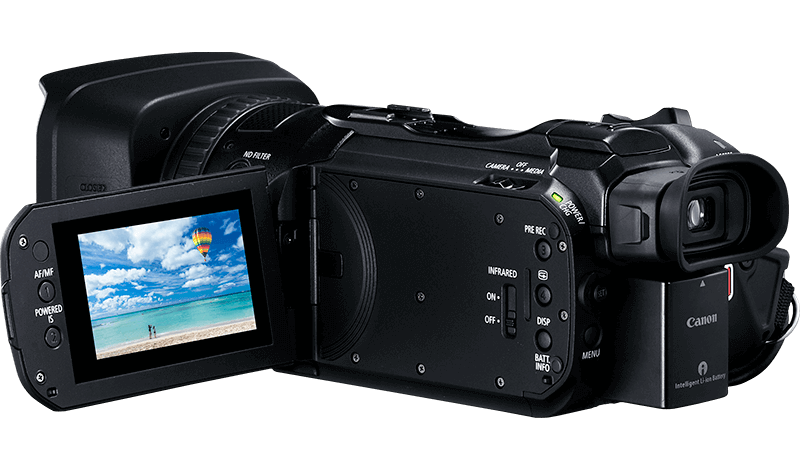 See images clearly thanks to a 3.0-inch (460,000 dots) touchscreen with intuitive response and a high-resolution electronic viewfinder for shooting in tight angles. Choose from five assignable buttons to customise control and adjust focus speed for more cinematic effects plus control exposure with built-in ND filters. 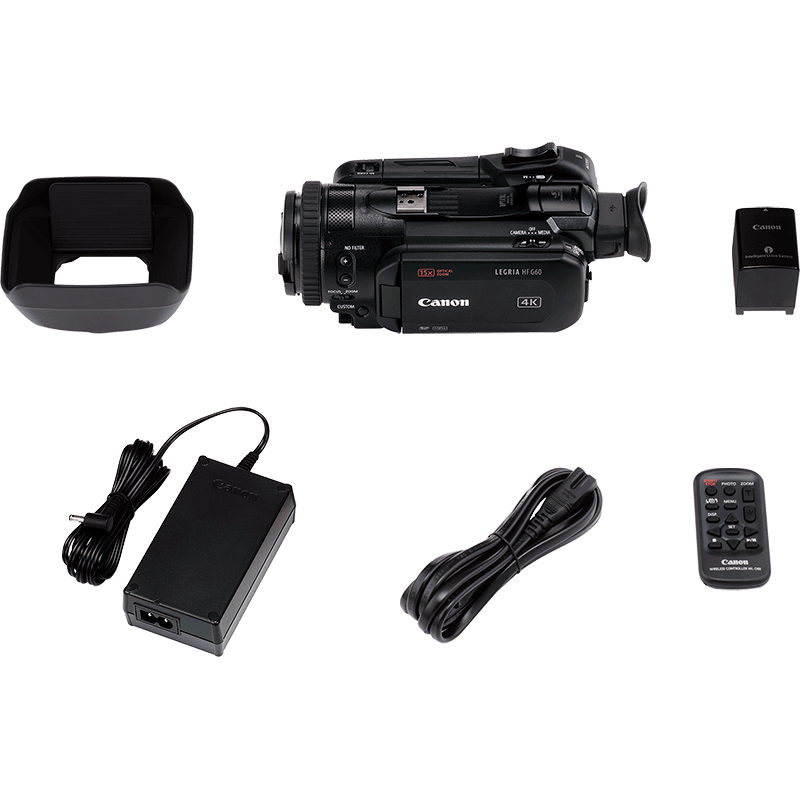 Connect direct to a TV to view footage straight away and add an external microphone for a more professional performance. Increased resolution in 4K UHD plus Full HD quality with 4K oversampling. Exceptionally fast autofocus with focus tracking to keep moving subjects sharp. Out-of-focus highlights take on circular edges for better aesthetic quality. Handheld footage remains steady even whilst walking and tracking a moving subject.